I thought it was the same thing as the Moringa plant, and I was right. Kamunggay is the Visayan dialect equivalent of the lovely and nutritious Malunggay plant common in Filipino vegetable dishes and they named it after this with good reason. In a town and era where global warming got the Filipinos to undergo famine and hunger, the townspeople had one thing to do in order to survive, that is to plant food. There are really resilient and industrious ones, and there are those who chose not to work at all. That's where the conflict begins because these unscrupulous people started stealing from the old farmer, and get away with it. Albeit heartbroken and furious about the situation, a lot of them got by with just making soup with the "Kamunggay" plant and got nourished fairly. It's a fight for survival, for ethics, how to deal with people who steal, how to make them pay for it, or just let them be. It's a story of family in the Cebuano and Mindanaoan Visayan dialect where you'll love the quirps of giving up, the act of giving, and bearing the fruits of your labor. All in that thin line of choosing what is right and wrong. 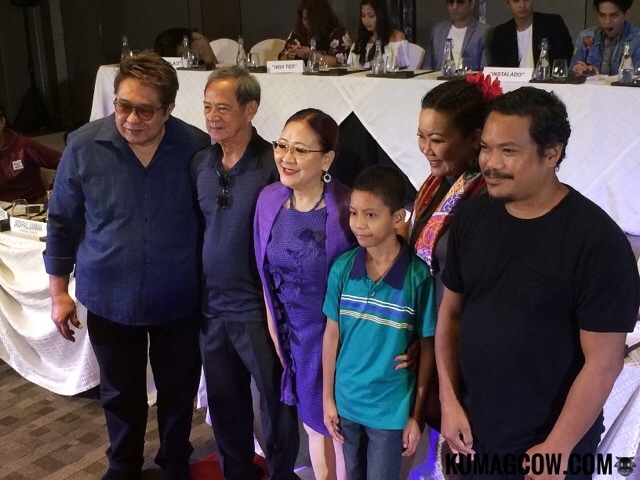 "Kamunggay" includes actorsKent Raymond Basa, Roger Gonzales, legendary singer Ms. Dulce Cruzata, Skyzx Labastilla and indie singer Bayang Barrios. They will tell you their individual stories and you'll learn how it affects everyone in the community. This entry is written and directed by famed director Victor Acedillo Jr. who also did "Kakampi" in last year's festival. They make you see a lot of small funny things, and perhaps attempt to make you cry about how the life story ends for these characters. The festival runs from July 12-18 and will show this and other entries at SM Megamall, SM Manila, Greenbelt 1, Robinsons Galleria and Gateway Mall in Cubao. This will be a good addition to your must watch films during the TOFARM Film Festival. Make sure you support this worthwhile projects made to uplift the lives of farmers across the country!